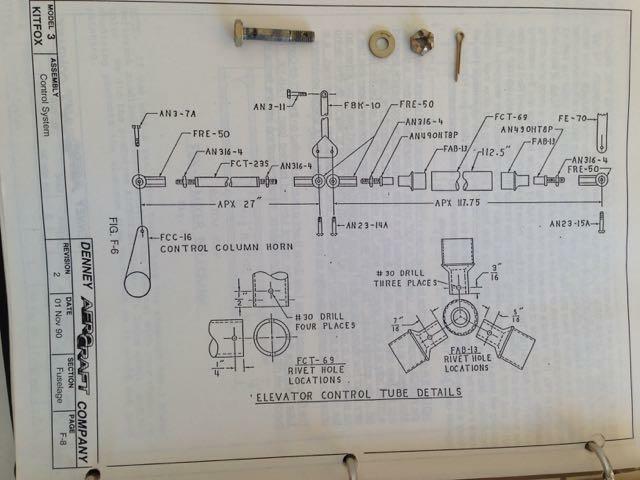 Service bulletin #45 has the owner replacing the elevator bell-crank to push rode bolt every 50 hours. Not that easy to get to; (kinda tight back there, and tough on the fabric to get the old one out and new one in). Have you Model I, II and III owners been doing this? 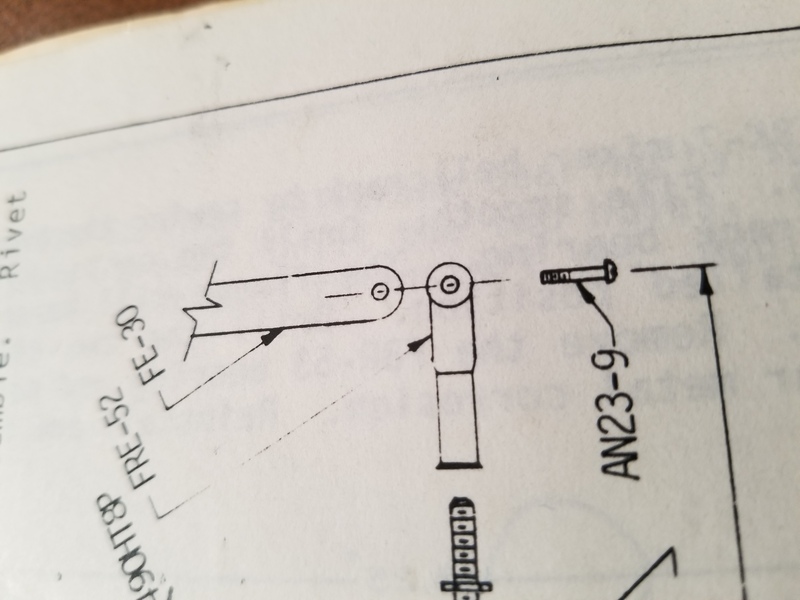 Still seems odd to have had two failures, though initially it was spec'd as a screw (AN23-15A) vice the now AN3-15 so maybe alleviates the concern (not sure if the chemistry is any different)? I assume the Model IV has a different arrangement? The Model IV has a rod end bearing at the end of the pushrod. 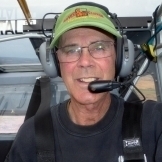 Since this is a major concern, failure of this bolt turns the plane into a lawn dart, cutting an access hole in the fabric under the elevator may be advisable. Talk to Joey about this "Jesus Bolt". When He replaced his, it was nearly worn in half. The elevator idler bellcrank is behind the seat, right? The model 4 uses a shorter bolt and it is supported at both ends. Here's an article from the old Kitfox Builder Newsletter that shows one solution to support the bolt at both ends. It is very poor quality when I look at it on my computer but fairly clear printed out. 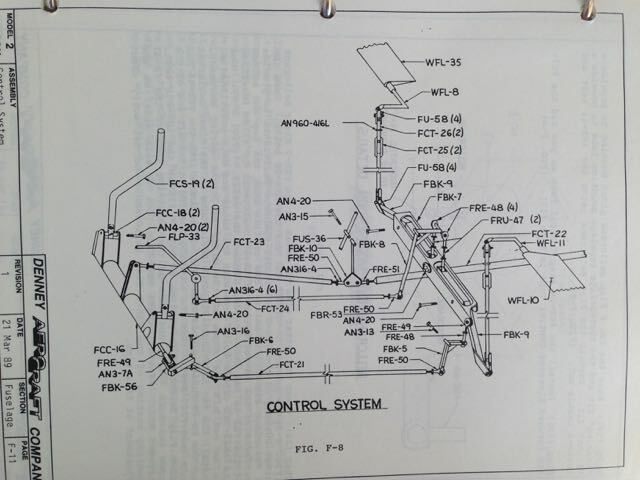 I am not familiar with the Model 1 through 3 control system and can't make heads nor tails of the photos. Maybe it will make sense to you. I can't attach a high quality scan of the article here. if you need it better quality i could email you a copy. Actually "I thought" the bulletin was about the the connection at the elevator. My model III also has a rod end bearing (ball joint). Should not be any wear or motion of the bolt, just the ball joint. Thanks for posting this!! 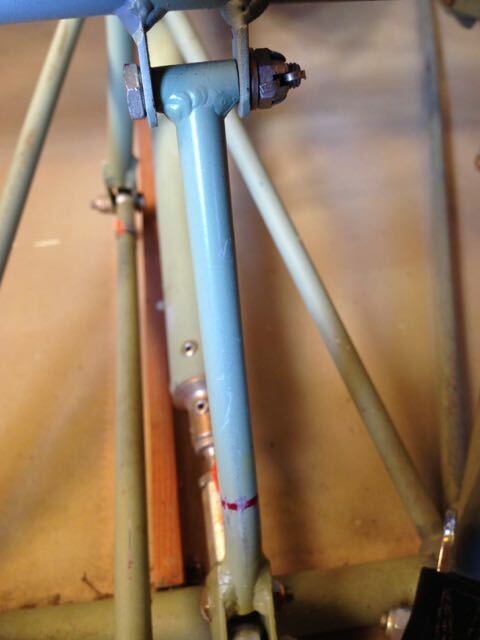 That bolt is easy to get to (behind the seat). Will also look at the mods shown here. And I may never have checked it had you not pointed it out. Not sure I ever thanked you for that so THANKS! Got yer back, Joey! You're Welcome! Looking through one of my build pics it looks like I already have support on both sides of this bolt. Was the original design just using a tab on one side? Or am I looking at things incorrectly. Definitely will inspect and replace this bolt (as I just started my annual - hard to believe it has been a year already). It does look a bit different from what I see in the bulletin. Larry, that appears to have a rod end bearing, like mine. If that is the case and the bolt is tightened properly, there should be no rotation and no wear on the bolt itself. The ball of the bearing should be rotating as designed. 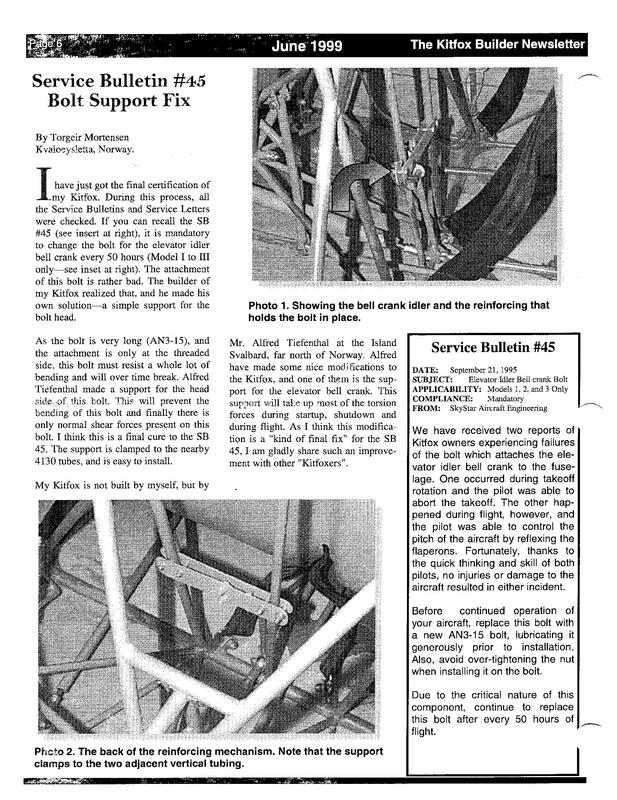 Service bulletin #45 addresses replacing the bolt that attaches the elevator control tube "Idler" to the fuselage, not the Control tube end bolt. 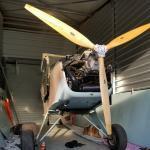 Kitfox models 1, 2 and 3 had only one tab welded to the fuselage that the Elevator tube Idler attaches to. The bolt is also longer...AN3 15 versus AN3 11 on a model 4. The torque on the longer bolt attached on only one end causes torque forces on the bolt that are thought to be why a couple of those early model bolts failed in flight. 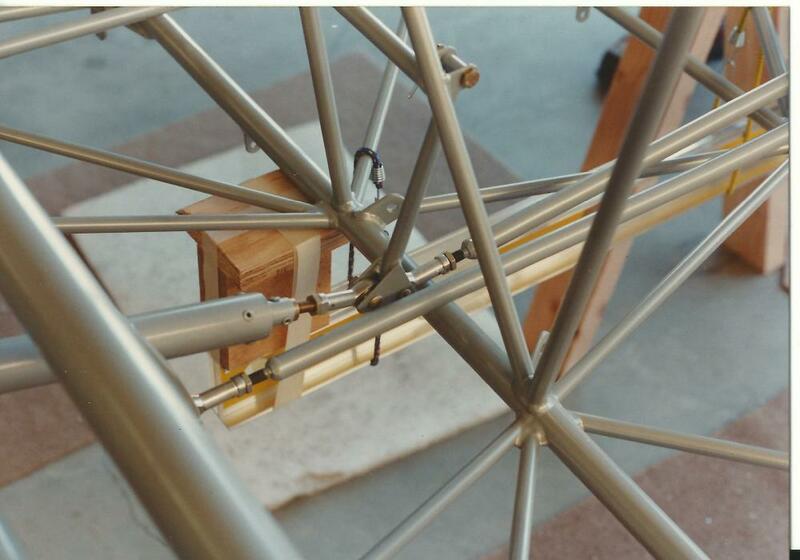 After the bulletin came out some builders welded in the cross tube with two tabs to correct that design flaw. You's looks like it was upgraded to the two tab mount like the model 4s have. Photo of my Classic 4. I wasn't aware of Service Bulletin 45 so I had to go check mine. I got concerned after the "Jesus Bolt" comments. Mine is just like Larry's. The elevator idler bell crank (FBK-10) is supported by two tabs and an AN3-11 bolt. The elevator push rod a rod end on each end. Everything moves easily and I found no wear. Denney Aerocraft must have made this change somewhere in the Model III production run. I have two drawings from my construction manual that show the old and new way. One is marked Model 3, the other is Model 2. Just to be clear,as this issue has had me wondering! (I replace this bolt every annual)I haven't noticed any wear on any of the bolt. Mine is attached with a bracket on each side of the idler at the top,and rod ends at the bottom. Did some foxes have only one bracket/tube for the top of the idler,and this is the reason for the service bulletin? The photos are a little hard to see but I haven't seen the single mount before,does this mean the bulletin doesn't apply to the later type? All, thanks for the posts and pics and setting me straight on this. Great to have this resource here; as I was more than a big foggy on this SB. EDMO, how did you change the fork end to a rod end? do the just screw into the bottom of the elevator tube? what size, I have a Model 1. 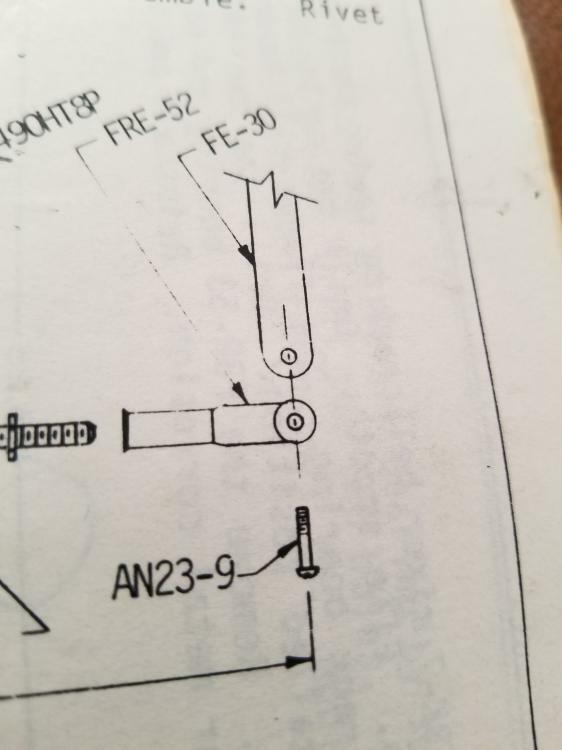 My Manual calls for an AN23-9 bolt, would you still use this bolt with a rod end?